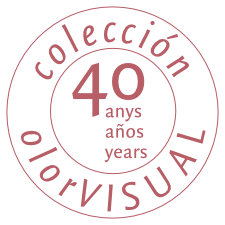 The collection olorVISUAL in collaboration with Velázquez’s House of the Academy of France in Madrid, they award the first prize of the section of international contest of video art of Videoakt 2013, to Albert Merino. Degree in Fine Arts at the University of Barcelona and at the Kunsthochschule Berlin Weissensee. He works as video artist and has collaborated with La Fura dels Baus and Fluchtkunst. He has received awards as Lumen-Ex, Bcn Visual Sound, MADATAC or the video art prize Close-up Vallarta. His works have been exhibited internationally. 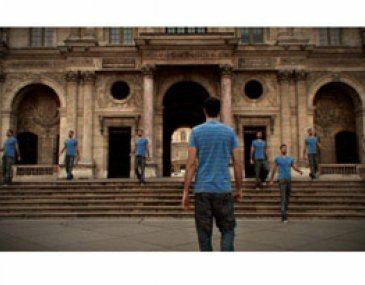 La ciudad y el otro – 3´10 – Spain Story about the subjectivity and condition of an individual in the city. It seems immersed inside an urban space, which is a mirror of itself. The reproduction is presented as an extension of subjectivity and alienation at the same time. This secrecy is broken with a fortuitous appearance that happens to change the protagonist’s perception about the world of the.